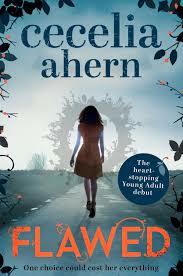 BleachHouseLibrary.ie: Book Review - "Flawed" by Cecelia Ahern. Book Review - "Flawed" by Cecelia Ahern. I received an ARC of this title, for review purposes, via netgalley.com. Flawed is published by Harper Collins on 24th March 2016 and will be available in Hardback and ebook format. "The Fallout" by Margaret Scott.